Analysts suggest that eOne’s film business could be offloaded if the deal goes through. ITV is set to increase its offer to buy the Twilight and Peppa Pig proprietor Entertainment One (eOne) after its initial $1,3bn (£1bn) offer was rejected, according to analysts. 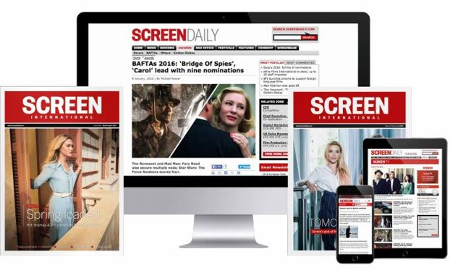 A number of leading M&A experts told Screen’s sister publication Broadcast that they expected the commercial broadcaster to table an improved offer for the Canadian-based, London-listed distributor of films including Spotlight and The BFG. eOne, which produces and distributes around 40,000 film and television titles, told the London Stock Exchange that the bid “fundamentally undervalued the company and its prospects”. The business reported revenues of $1.04bn (£803m) for the year to March 31, with pre-tax profits of $62m (£48m). ITV has a market cap of $10,3bn (£8bn). ITV CEO Adam Crozier is unlikely to be put off by an increased price tag, as he searches for the company’s most transformative production acquisition yet, following the purchase of firms such as John De Mol’s Talpa Media for a potential £1.01bn (£781m) and $359m (£277m) for Leftfield Entertainment. Ahead of the eOne offer, Crozier said he remained serious about transforming ITV into a content-centric business less reliant on advertising and was “absolutely” on the hunt for more acquisitions, adding that he had “the balance sheet” to do it. Leveque added that ITV shareholders were likely to be looking out for a transformative deal following a string of relatively small deals for UK indies such as Big Talk, Twofour Group and Mammoth Screen. On top of its TV content, eOne is a major player in the film business, with production credits including Toronto title Message From The King and drone warfare thriller Eye In The Sky. But analysts believed that this division holds less appeal, due to its more volatile outlook. A note from investment analysts Liberum suggested one option would be to offload this unit. “There is a strong argument for saying that ITV may only want the TV assets and is not interested in the film assets, where they have seen a mixed operational performance and where there have been investor questions around the cashflow,” it said. Others believe that ITV’s potential acquisition of eOne could be a “defensive” move as it would make the broadcaster a more difficult takeover target. “If they acquired eOne it would probably mean they themselves are more difficult to acquire which makes it an interesting defensive play. It makes them a much bigger fish. But if they acquire eOne they’ll also be much more attractive,” said Harbottle & Lewis’ Leveque. Much of eOne’s appeal is driven by Peppa Pig and its US scripted division. The acquisition would catapult ITV into the kids space in a major way - eOne owns 85% of Peppa Pig after taking a 70% stake in creators Astley Baker Davies for $181m (£140m) in September. Following the deal, eOne set out plans to double merchandise sales of the pre-school asset, which is thought to bring in revenues of $842m (£650m) per year. It also expects to increase grow global revenues of the show, which airs as part of Channel 5’s Milkshake block and on Nick Jr in the US. Berenberg analyst Sarah Simon said that the Peppa Pig franchise, which helped kids division eOne Family grow its revenues by 10% to £87m (£67m) last year, had “hardly been monetised in the US”. A deal would also help ITV’s US scripted ambitions. The broadcaster has made significant efforts to get into the lucrative US network business in recent years with shows such as a Maria Bello-fronted adaptation of Prime Suspect for NBC, which was cancelled after 13 episodes, and Charles Manson-inspired serial killer thriller Aquarius, starring David Duchovny, which has run for two series on NBC. But a tie-up with eOne, which grew its TV revenues by 27% to $244m (£188m) last year, would supersize these ambitions. The Toronto-headquartered firm owns a controlling stake in The Mark Gordon Company, which produces long-running shows including procedural Criminal Minds and medical drama Grey’s Anatomy. Mark Gordon is also producing forthcoming Kiefer Sutherland-fronted political thriller Designated Survivor and Hayley Atwell-starring crime drama Conviction. eOne has secured lucrative international rights to both shows. Separately, the television division, run by chief executive John Morayniss, produces a raft of non-scripted shows in the US and Canada and owns Naked and Afraid producer Renegade 83.